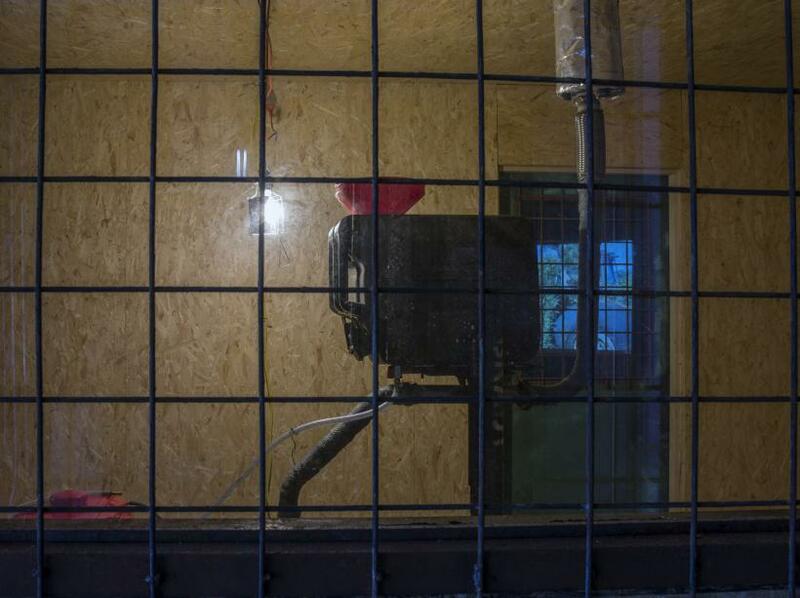 Title : Nicholas Mangan, Progress in Action, 2013. Installation view, Institute of Modern Art. Photograph by Carl Warner. Title : Nicholas Mangan, Ancient Lights, 2015. Installation view, Institute of Modern Art. Photograph by Carl Warner. Title : Nicholas Mangan, A World Undone, 2009–10. 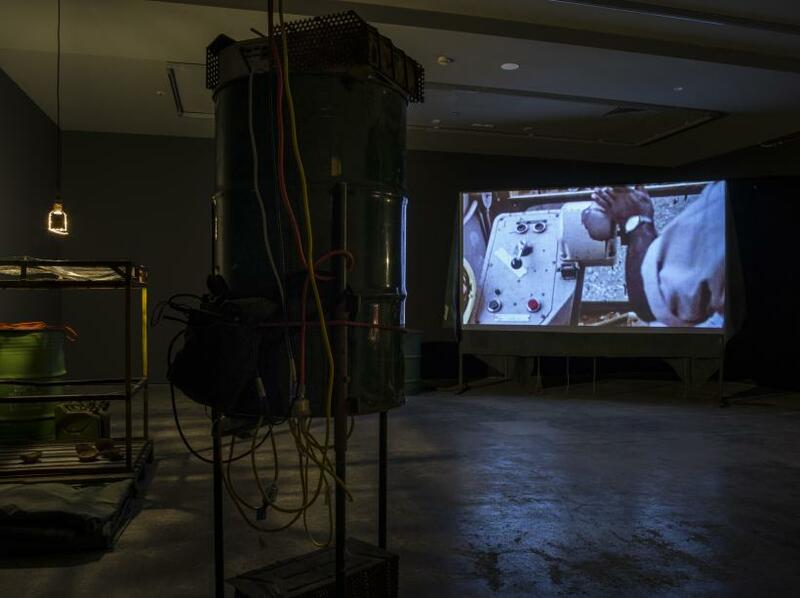 Installation view, Institute of Modern Art. Photograph by Carl Warner. 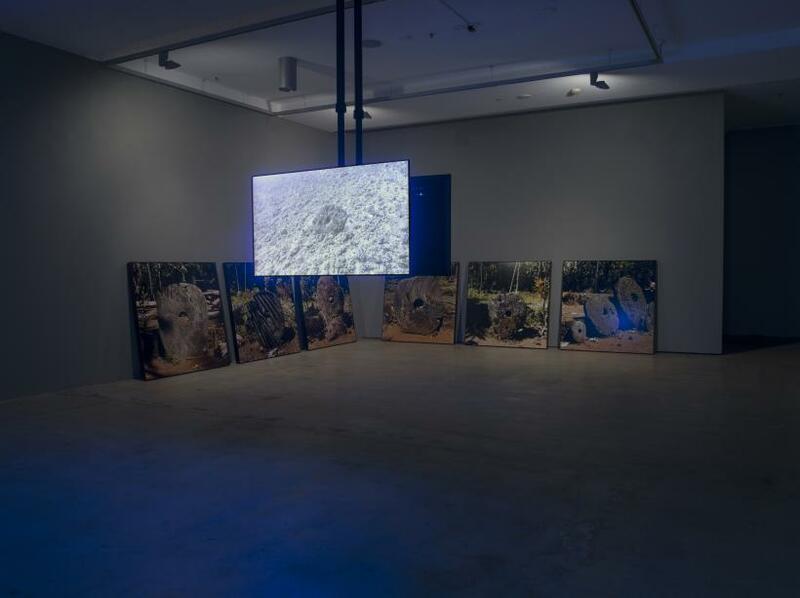 Title : Nicholas Mangan, Pacific Sediment, 2010; Nauru – Notes from a Cretaceous World, 2010; Dowiyogo’s Ancient Coral Coffee Table , 2009–2010. 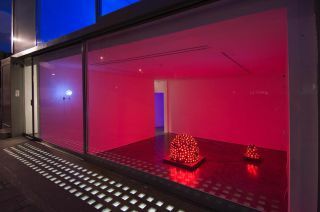 Installation view, Institute of Modern Art. Photograph by Carl Warner. 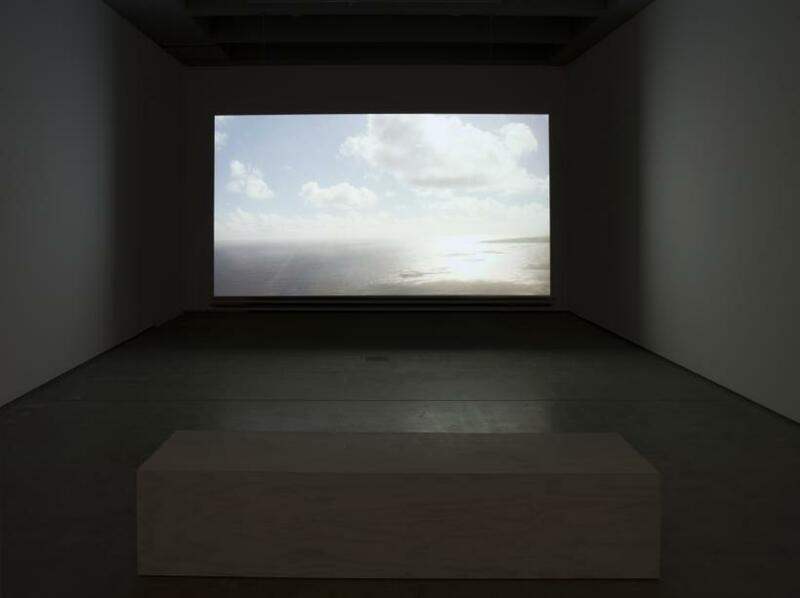 Title : Nicholas Mangan, Nauru – Notes from a Cretaceous World, 2010. 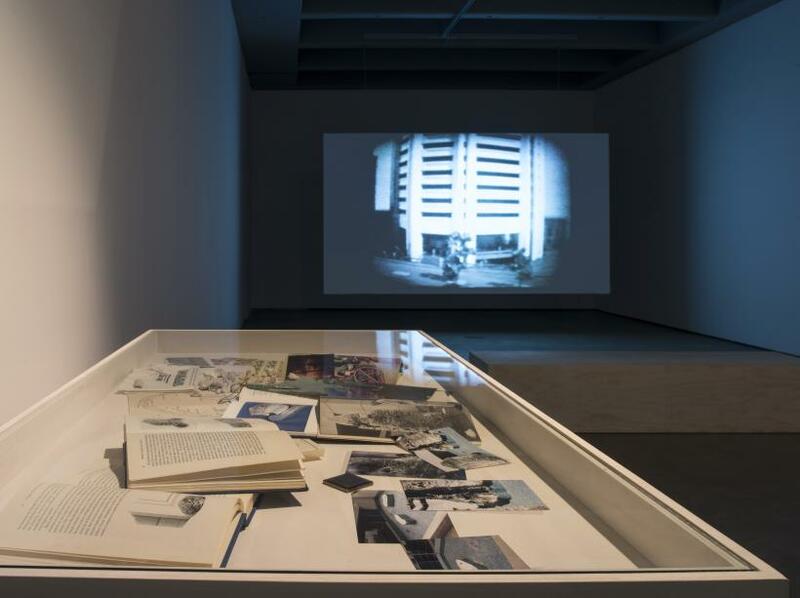 Installation view, Institute of Modern Art. Photograph by Carl Warner. Title : Nicholas Mangan, Limits to Growth, 2016. 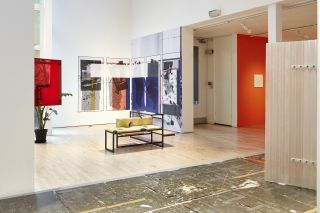 Installation view, Institute of Modern Art. Photograph by Carl Warner. 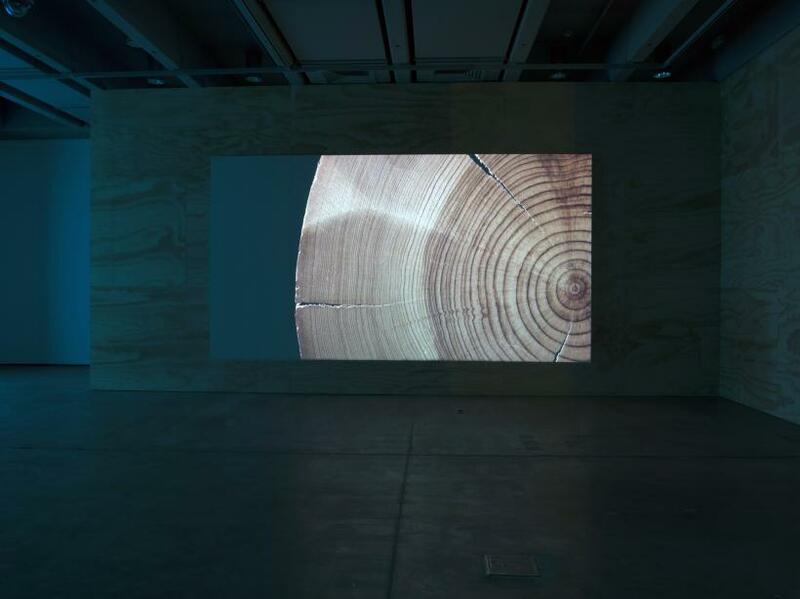 Limits to Growth is the first survey exhibition of Melbourne-based artist Nicholas Mangan. 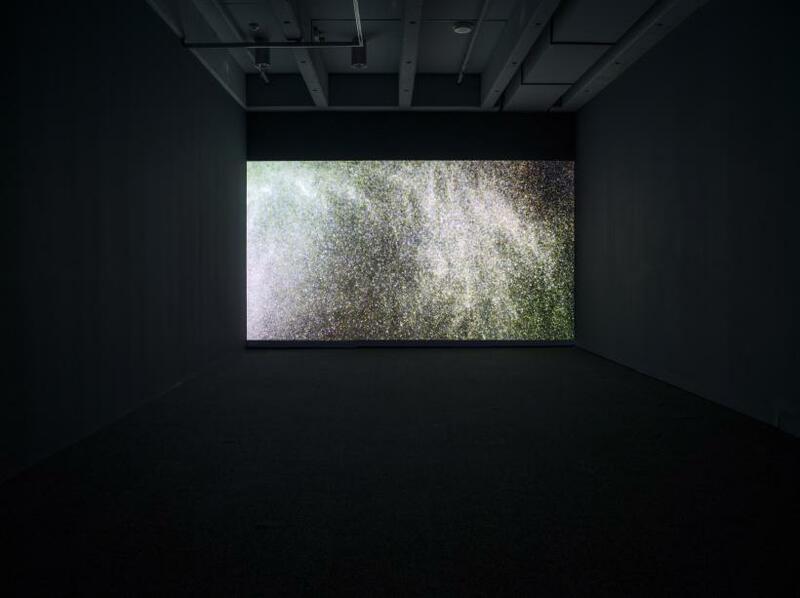 Bringing together five major projects made between 2009 and 2016, Mangan’s immersive moving-image installations masterfully balance complex narratives. Cross-institutionally developed by the Institute of Modern Art in partnership with the Monash University Museum of Art, Melbourne; and the Kunst-Werke Institute of Contemporary Art, Berlin; the works in this show emerge out of the conditions of Mangan’s own geographic region, the Asia Pacific, in which his home country of Australia has played a decisive role. 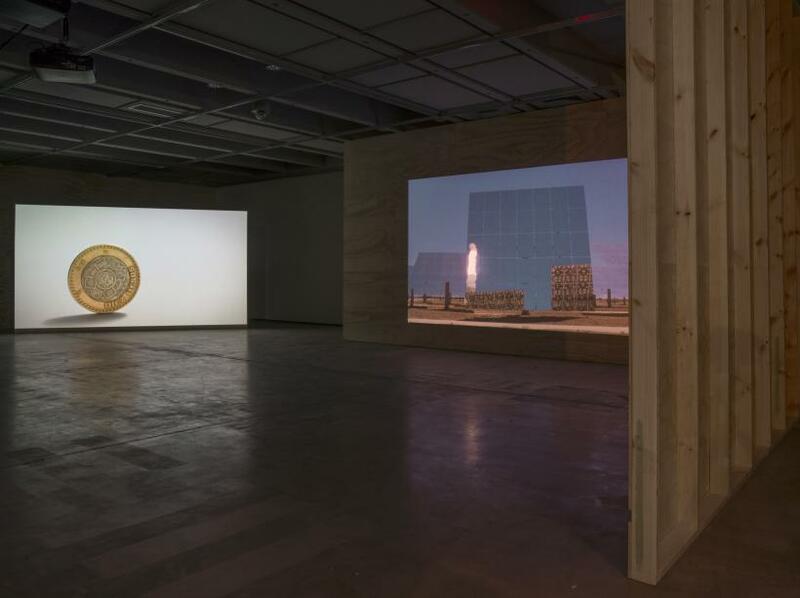 Mangan weaves the geographic specificity of these locations into a bigger picture that takes into account the global economy, resource extraction, and the ultimate power of the sun. 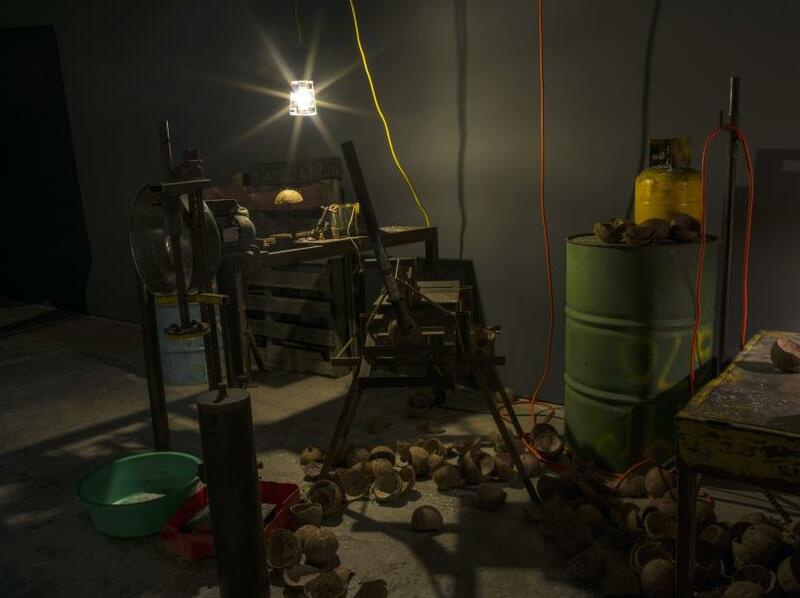 The socio-political conditions of energy extraction are dissected in Nauru – Notes from a cretaceous world (2009-10) by exploring the boom and bust of the Nauru economy. Progress in Action (2013) addresses indigenous activism against the Rio Tinto mining corporation and government in Bougainville, Papua New Guinea. 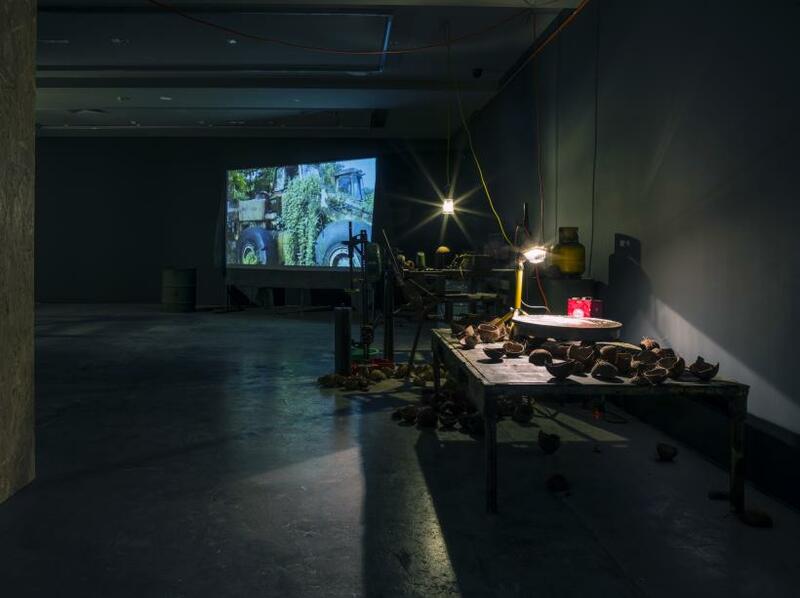 Newly co-commissioned work by the Institute of Modern Art, and Monash University Museum of Art, Limits to Growth (2016) takes as its starting point the ancient currency Rai, comparing these large stone coins from the Micronesian island of Yap to one of the newest global digital currencies, Bitcoin. 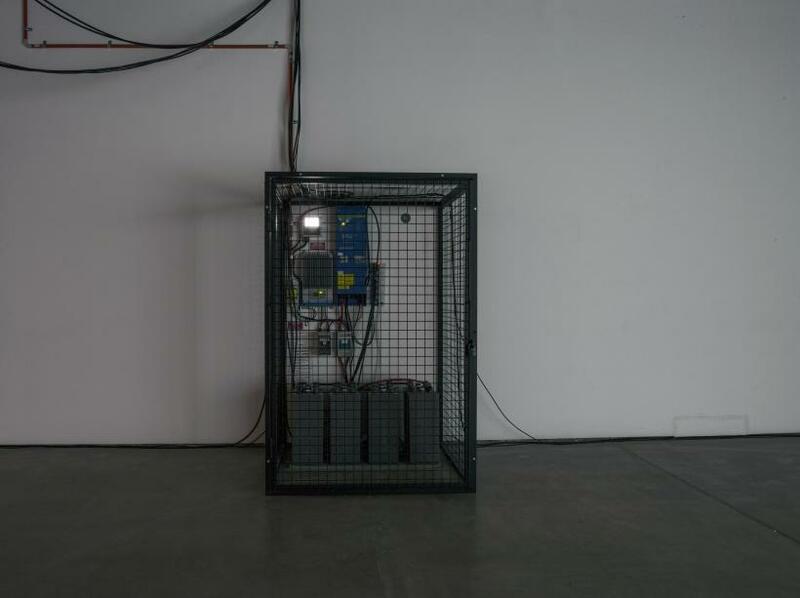 Together these artworks capture the sensitivity with which Mangan tackles key issues of our era, notably, the socio-political context of energy extraction.